Storytelling is about Quality, not Quantity! Alex Ferrari had been a production assistant in television before he decided to become a director. But Ferrari is not that typical dreamer who "wants to be a director", he is one already. His debut short film Broken is a big movie with a sitcom running time, and no less than one hundred visual effects shots before its nineteen minutes have elapsed. Might I say that's pretty impressive? Might I add, do bears bear, do bees be? Somewhere out there a young woman named Bonnie (Samantha Jane Polay) finds that she's not alone in her little apartment and that she's got a few more things to worry about than just whether to watch Survivor and tape Friends or the other way around. Nope, Bonnie soon finds herself in a mess that makes The Matrix look like Smurf Village! Her apartment has gone bye-bye, her boyfriend Christian (Derek Evans) is one MIA BMF, and she finds herself duct taped into one of those Francis Dolarhyde wheelchairs surrounded by people who want to kill her. The ring leader is a scarred, silk suited psychopath with the attitude of Bruce Campbell and a penchant for harmonica tunes and bullets, but looking around at the rest of his too, too motley crew, our boy Duncan (Paul Gordon) just might be the most normal one of the bunch. Scarier prospects have rarely been pondered. But what is this place, and why was Bonnie brought there? Why can't she remember who these people are and why they want to either kill her, or just find out what's... well... Broken? Ferrari and co-writer Jorge F. Rodriguez (who also produced) leave the answer truly ambiguous and clearly in the eyes of the viewer. Yep, this just might be the best surreal mystery of 2005 that you never saw! Under one hell of a microscope Broken shows the flaws that a nitpicker who misses the point might focus on. The occasional line sounds like it must have looked better on the page than coming out of the actors' mouths. 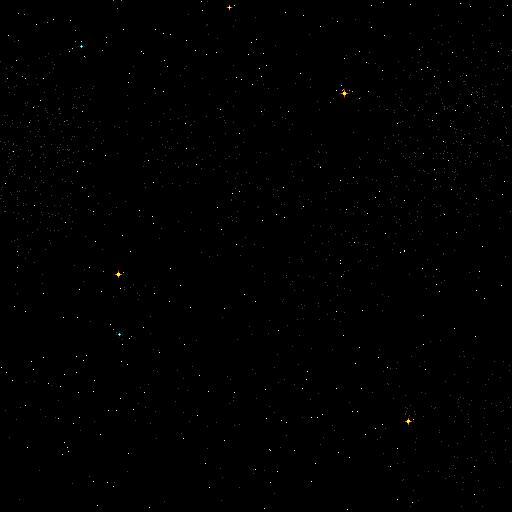 At least one surprise could be seen ahead of time by the watchful eye and there are one or two moments left so ambiguous one might wonder what the hell the true intention was here (to be fair... that might just have been the point, boyos). Let me tell you, the special effects are almost universally fantastic, and never used as an actual crutch to prop up poor writing (because there ain't any, kids). However, there is the occasional moment that feels slightly over-post-produced. It feels almost as if Ferrari has decided that because he can throw in a visual effect here and there, he should in order to show what a good film maker he is. But he does that anyway, and while the visual effects are a beautiful part of a strong whole, it's clear that Ferrari as writer and director could pull off a great short with or without the computer assistance. His talent with the camera, daring camera angles, and lack of mimicry to the current trends show what a different kind artist he is. 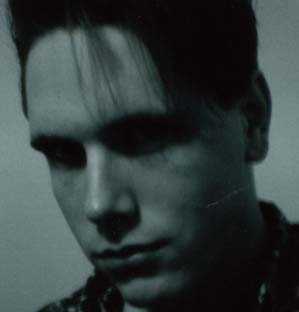 Hell, he could probably pop a tape in a camcorder, film a square dance documentary and actually make it watchable! And, let's be fair, this is a good director breaking out of the television production and commercial directing niche he's in, and by God he's going to put in everything he can to show he's got it. He does. As a student flick, a short, an indie... it doesn't matter, Broken is a quality film! It's up there with the best of The Twilight Zone or Tales from the Crypt in its quality (and run time), but taken for the indie short that it is, and judging it most fairly, Broken gets Four Stars out of Five! Yep, this is one ambitious production, but Ferrari and company actually deliver on their promise. From the grabbing beginning to the twist ending Broken has the feel of that good book you can't put down, and if anything, I only wish it had been longer. It's the best suspense thriller you never saw... Change that! Hit http://www.whatisbroken.com, watch the preview and tell me you're not ready for more! If I might be allowed just one more of my many bad, bad cliches: "If it's Broken, don't fix it!" Now, if you'll excuse me, I need to take my Welbutrin and Adderall right quick. My neighbor keeps playing his harmonica, and it's starting to creep me out, man! I'll see you in the next reel, ya lunatic ya! But beware the sound of the harmonica! 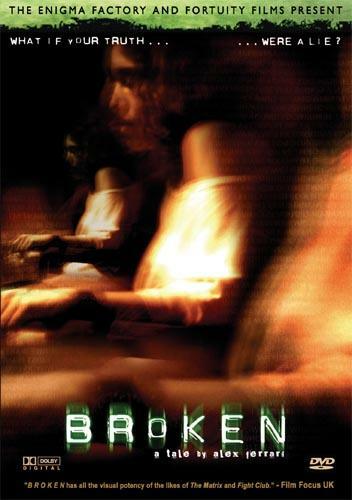 Broken (2005) reviewed by J.C. Maçek III who is responsible for his reviews and for his two month stint in Brentwood in which everyone really was out to get him!